Salvador Jiménez-Flores' solo exhibition, I Am Not Who You Think I Am, combines ceramics, installation, prints and video to explore a fusion of myth, history, religion, politics, and popular culture and is driven by his life experiences. 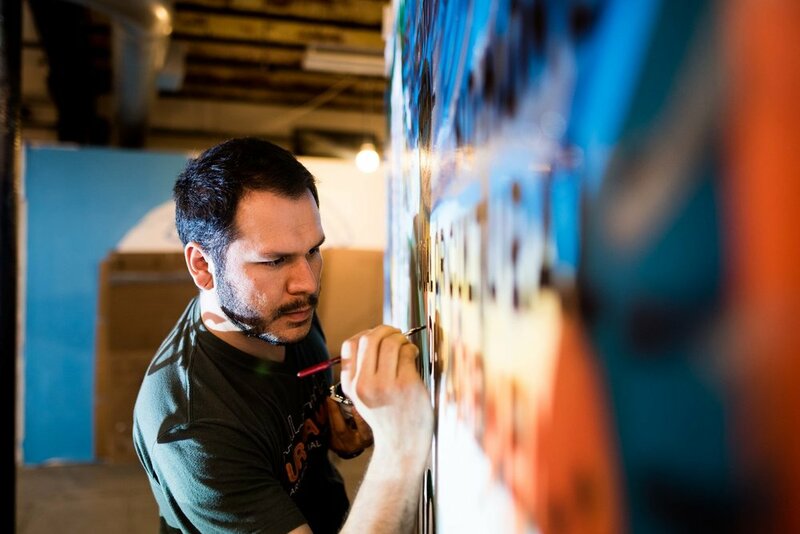 As a Mexican-born artist living in the United States Jiménez-Flores feels the responsibility to address the issues that affect his community and identity to create awareness and propose actions through art. He wants to capture what others overlook by choice or by ignorance. The work in this exhibit allows the artist to mask himself with stereotypes, perceptions and expectations assigned to him merely because he is a member of an ethnic group within the dominant White culture in the United States. Through these works he digs deep down into his inner self through this process — hoping to find universality and humanness that transcends adaptation and blurs the division of dominant and ethnic groups.